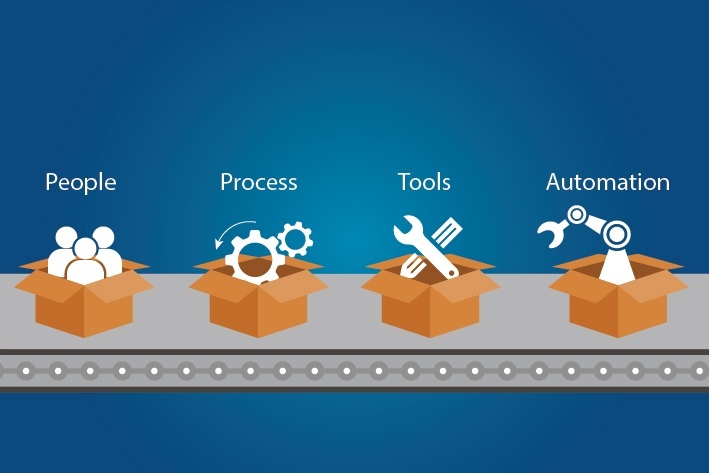 When you separate Agile techniques from its core principles, as listed on the Agile manifesto, it is easy to see that the obstacles faced by various departments of a business are analogous to the challenge of building working software solutions at startups. 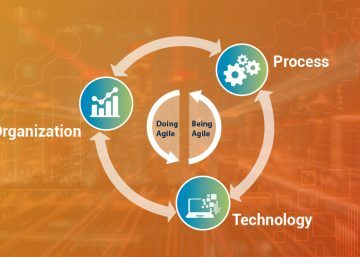 Agile is defined both by its values as well as a set of processes that are adopted in order to be as responsive and quick to change as possible. When considering applying Agile to the business side of a startup, you should take into account both the value driven as well as process driven aspects of Agile. On the business side of an organization, you deal with more than just software – there are also processes, people, operations and several other constraints. Sprint planning sessions are a great way to align management, marketing and sales and get everyone to agree upon and focus on commonly understood goals. As a part of achieving this goal, teams can mutually fix upon a reasonable set of tasks for a 4-6 week sprint. Conducting scrum meetings on a daily or periodic basis would be a great way to keep everyone on track and to ensure that there are no hindrances or impediments along the way. 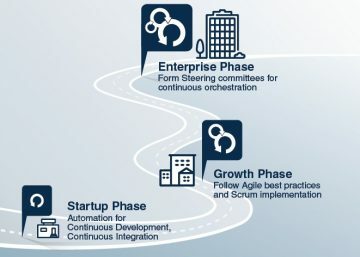 Just as in a software development team that follows an Agile approach, an agile business should focus on rolling out new changes and developments, as it matures and learns from market adoptions and fluctuations. When a startup is agile enough to have the ability to move quickly with small but regular changes, whether it is to HR procedures, marketing campaigns or sales pitches, they are better equipped to improve their strategies and solutions and drive real business results. 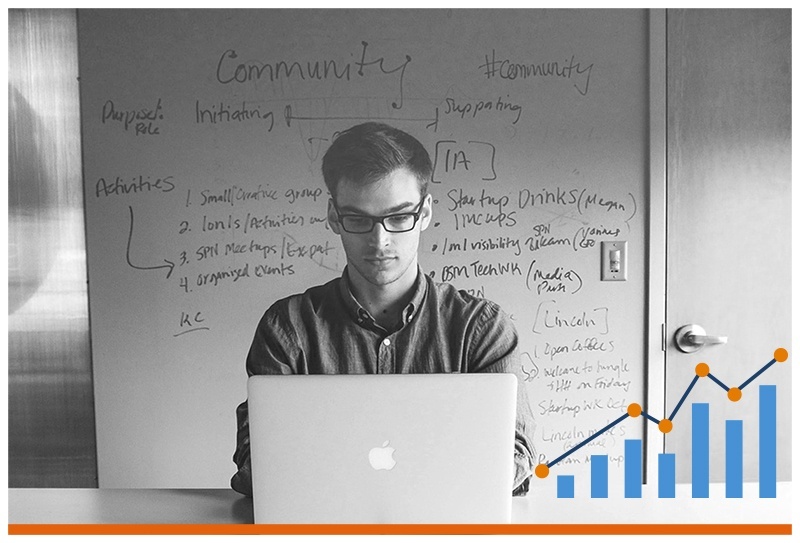 Startups should engage in an iterative approach to new business investments. Once you are assured that a certain investment in a new idea is worth the capital and time being invested into it, you can shift the focus to optimizing and further developing it. So, you get to start implementing innovative new business ideas quicker and have the option to scale incrementally, if you feel it makes sense. Are you wondering how a burndown chart relates to the business side of your startup? The business equivalent of the burndown chart is a set of previously agreed upon metrics that a business can use to measure the contribution of various departments towards achieving set business targets, which most commonly revolve around revenue. Just as Agile development values working software over process and comprehensive documentation, an Agile startup will value results (in terms of revenue and profitability) over less useful metrics such as working hours or number of new features developed. Sprint reviews are ideal for every department in the startup to measure their progress with each other. Because there is so much interdependency between various departments of the business such as the management, sales and marketing, this kind of a review offers great insights into what worked and what didn’t. Sprint retrospective can be a great way to review everything that went well, areas that can be improved and the best ways to function together harmoniously. By working in increments and embracing change, Agile can very successfully be applied to the business side of startups. 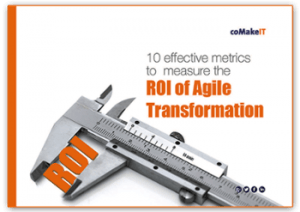 However, when adapting Agile, it would be a wise idea to take into consideration both quantitative and qualitative metrics to understand how well it is actually working. This can be done through studying analytics and even more importantly, by obtaining customer feedback. In applying Agile principles, startups can also practice constant market validation and experimentation in order to minimize waste. It is quite evident now that Agile principles are extremely relevant to the business side of organizations, both startups as well as others. The goal should be for Agile teams on both sides to evolve into a smoothly integrated system, where everyone is working together to create a company that meets the real burning needs of the end users.